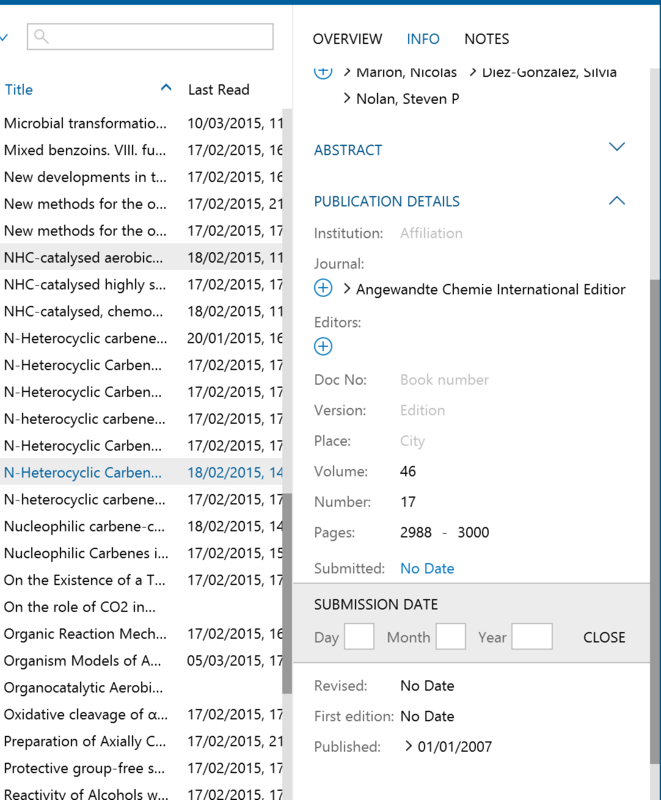 You can insert and edit the publication dates for each manuscript. 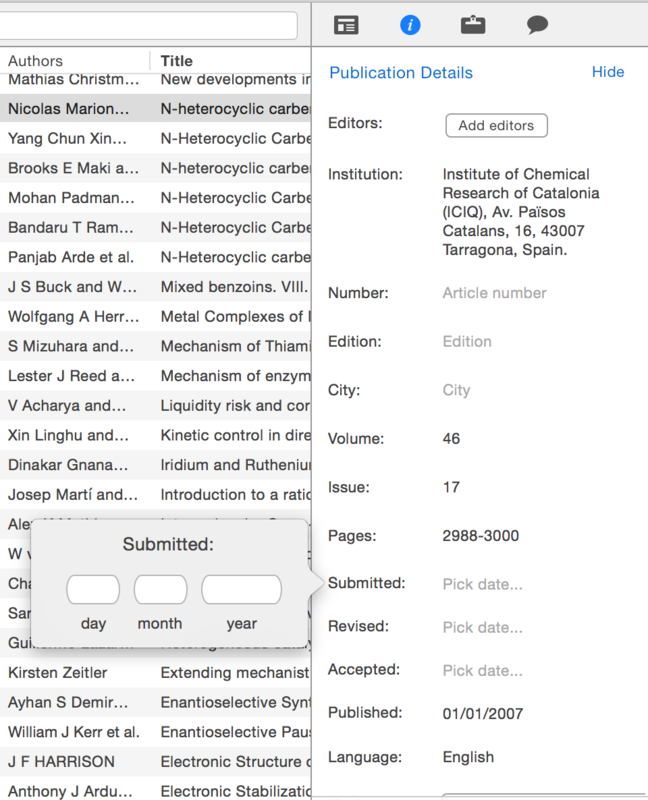 These publication date options include: date submitted, revised, accepted and published. To edit these dates simply click on the desired document in your library. In the inspector window on the right hand side select the 'info' tab. Below the heading 'Publication details' are the titles Submitted, Revised, Accepted and Published. Click to the right of each of these titles to enter or edit the date.